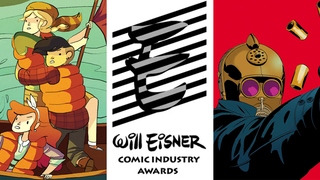 Here Are Your Eisner 2015 Winners! Last night the best and brightest of the comic book industry gathered for the 27th annual Eisner Awards, celebrating the best and brightest of comics. Want to find out who took home the awards? Here’s the full list of winners. Want a few reading recommendations? Here’s our brief guide to some of the coolest comics that were nominated.